Any decent SEO strategy should always start with sorting out your on-page optimisation. Before you start working on your website’s authority you want to ensure your house is in order. Most people understand it is important, however, in practice many don’t have a clear idea of what to do or why they need to do it. With this comprehensive 6,000-word on-page SEO optimisation guide, you will find a list of all the important on-page factors that affect SEO, why Google uses it as a ranking measure and what you can do to ensure your website shapes up. If you are looking to just brush up on a couple different factors use the menu below to navigate to the correct section directly. 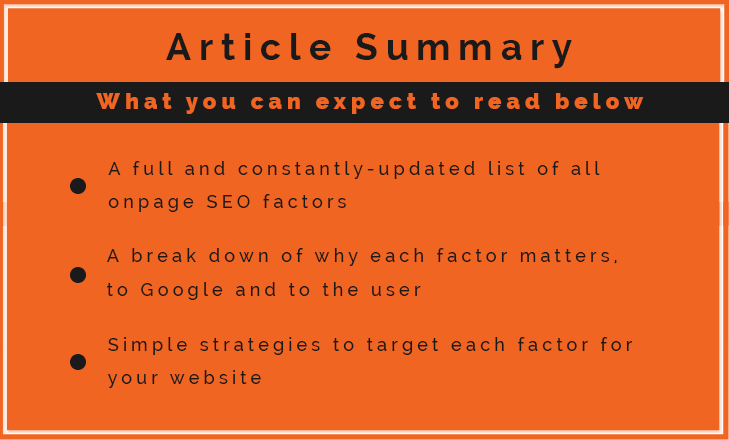 Not only that, but this on page SEO guide goes into intricate detail about why each factor matters to the Google algorithm and what Google is trying to achieve by including them. One thing I have always found useful is to try and understand on-page SEO factors in terms of what Google is trying to achieve by implementing them. Google has one core objective: to provide users with the information they want based on the search terms they enter. When a user enters a search term they want the information listed to match the intent of their query and be relevant to their search. There is plenty of content out there on every subject. But quality content will help solve a users query. Content is less valuable if it is hard to understand or navigate. Users want content that is quick and easy to digest. Therefore everything in Google’s Algorithm is trying to assess one or more of the above factors in one way or another. Below is a comprehensive list of on-page ranking factors. Each one is marked with the above factor(s) they intend to target as well as an explanation of what they are trying to detect and how you should implement them on your website to get the best possible results. However, before we get into specifics of on page ranking factors – it’s super important to discuss what terms you target and where you’re optimising for those terms on your site. No matter how well you optimise a page, if you’re using the wrong page you’re never going to rank. In the same vein if you’re trying to target a keyword for which it doesn’t make sense for Google to show your website for, then no matter how well you optimise your site – you’re not going to rank. So properly mapping out your targeted terms, and the relevant target pages that suit the intent behind those terms is going to be the biggest key to success. You can’t have a successful campaign without nailing the campaign strategy first, that’s why we’re going to talk about these aspects first. The keywords you target in your on-page SEO strategy will underpin many other tactics you implement on your webpage, so it is important to understand exactly how to set-up your keyword strategy and align it with what the Google Algorithm is looking for. Developing an intelligent keyword strategy is not just about ranking for specific high traffic search terms, it is about getting Google to associate the domain with the whole sphere of relevant topics that apply to your business. Keyword Clusters are a set of terms that you group together in your keyword research because they are related in theme and have the same intent behind them, meaning one page will be able to optimise and solve the query for the whole cluster. Users want to find the best content regardless of the precise terminology they use in their search terms. They don’t want to find a different page on your website for hiking, bushwalking and walking trails. Having websites focus all their efforts onto a single page for all these terms makes it much more likely the end product is going to be a quality page. It also means they are more likely to get natural sounding content with many word variations, rather than old-school SEO content, peppered with six or seven instances of the exact same keyword. The Google Algorithm is highly semantic. It has been able to group terms together as relative synonyms for some time and with introductions like RankBrain and Hummingbird, it is clear that their quest to understand what the user means with each search term isn’t going to slow down. Using tight and varied keyword clusters will make sure you rank for a broader range of relevant terms. With the majority of traffic on the web that is driven by long-tail search, this makes keyword clusters and convering a topic properly rather than optimising for single keywords extremely important. Spend your time doing quality keyword research. Focus on keywords likely to bring targeted traffic to your site. A mix of terms with low competition as well as terms with high search volumes and high competition is a good mix, so you can rank quickly for some terms and bring in business ASAP while also chasing terms that might be more of a long-term goal. ‘Target pages’ refers to the individual pages on your website you are going to optimise for any given keyword cluster. Users not only want to land on the best website for their search query, they want to land on the most relevant page on the best website. 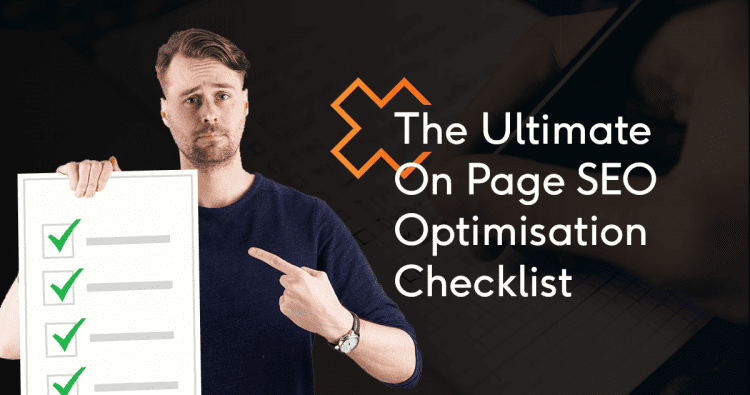 Your home page is almost always going to be the strongest page of your website but as you will see throughout this guide, there are limits to how many terms you can optimise a single page for. By limiting ranking factors in this way and giving website owners the opportunity to optimise their internal pages for different terms, Google encourages the segmenting of pages into distinct topics, increasing the chance the user will get highly relevant content for their search term. Create a page on your website for every keyword cluster. So don’t list all your services on the one page, make them separate useful pages. Ubersuggest.io – helps you find keyword variations and long tail keyword ideas based on Google’s suggestion feature results. Meta tags are what show up in search results and convince users to click on your listing. In most cases, your title tag will display as the blue clickable heading of listings on a search engine results page (SERP). This is the main element users will look at to determine if they want to click on your listing and go to your page. This is the only time a user will see your title tag, although it also displays as the text in a browser tab and the default text if a user bookmarks your page. The title tag is the first thing a user sees after making a keyword search, therefore it is the primary thing they use to determine if a result matches their query or not. Therefore, Google uses the title tag as the primary indicator of deciding what any given page is “about”. Your title tag is where you want to put your most important keyword for that page. If you have executed your keyword strategy correctly, then your primary keyword will fully align with what the page you are optimising is about. This will provide the user with relevant content to their search term and help fulfil part of Google’s primary objective. The closer to the start of the title tag you put your keyword the more weight it will carry. It is also important to remember to strike a balance between optimising your title tag for keywords and crafting it to appeal to the user. Keywords alone are not going to be enough to get a click. Remember, if you’re ranking on the front page for a competitive keyword, all the other results are going to be optimised for that keyword as well. What are you going to put in your title tag to ensure they choose to click on you? Spending time optimising for click-through rates is essential. Your meta description has no direct impact on keyword ranking but it helps gives greater context as to what your web page is about and can help with click through rates. The user will see the meta description underneath the title tag in the search results. The text in this section is more detailed than the title tag but not clickable. It will be a key factor in the user’s decision on whether to click through to your website. Once upon a time, the meta-description was a direct ranking factor, but people just stuffed them with keywords, which was completely useless to the user, so Google changed it up. By taking away the SEO effect, Google forces website owners to craft a meta-description that describes their content in a way that will influence click-through-rate. By monitoring click-through-rates and how they compare to user bounce rates Google can determine the relevancy of a result to any given search term. You want your meta-description to be a concise and compelling description of what the user will find on the page. The meta-description can be an often neglected meta-tag since it has lost its potency in terms of direct impact on ratings. But the character length of a meta-description allows for a more nuanced description of your brand or company than you can create in the title tag. If you nail your title and meta description at position 3 in the Google results you can easily draw clicks away from positions 1 and 2, and this relevancy indicator will see Google start boosting you up higher in future results. Write a different meta-description for every page. Add keyword variations and synonyms to your main keyword as Google will make them bold in the results, which draws more attention. Most importantly, remember to make your meta description the right length and highly relevant to the user’s search. If you don’t Google may decide to take another section of content on your page it determines is more relevant and display this in the SERPS instead. 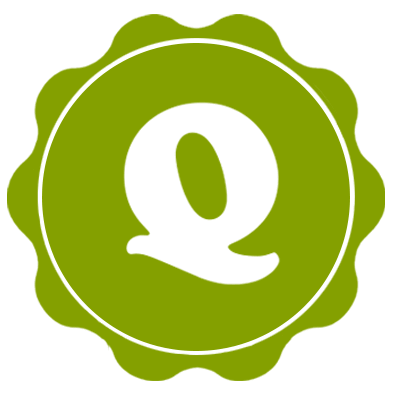 Snippet Optimisation Tool – Allows you to test different title-tags and meta-descriptions to see if they will fit in the SERP results without being cut off. Yoast SEO – A reliable plug-in that will allow you to easily write custom title-tags and meta-descriptions for every page on your website, if you use WordPress. W3schools – Some more technical information on title tags for further reading and non-Wordpress users. Screaming Frog – A program that will crawl your website to give you an overview of all the meta tags on your website. The heading tags are a series of tags that mark the headings and subheadings of a webpage. Headings and subheadings were elements of content long before Google or the internet came along. Headings allow users to get an indication of what a piece of content will be about and subheadings do the same as the user scans the content. They also serve to visually divide content up into distinct sections. In almost all cases headings will be formatted differently from the body content, most commonly scaling down in size from the h1 to the h4 (or whatever the smallest heading on your website is). Similar to the title tag, Google uses the content in the heading tags to categorise a website and its various pages. As headings are written to give an idea of the content to come, using them as a ranking factor gives Google a greater versatility when deciding what a page is ‘about’ and helps it return more relevant results to a user. Content with well-implemented heading tags also provides better usability as it breaks up the content into sections, allowing users to find the content relevant to their search. Putting more ranking weight on heading tags encourages their use in this way. This is where the work you have done in your keyword research will really come into play. Headings are the perfect place to develop your keyword variations. You should only have one h1 on any page and it should contain your primary keyword. After that, include headings as you feel it is appropriate to your content. Major sections should be headed up by h2 tags, then h3 within that and so on. Focus on including different keyword variations and synonyms in your different headings rather than the exact same keyword every time. The most common commodity on the web is words. There is a lot of it out there and a good portion of it has been crawled by Google, at one point or another. So what is it looking for? When a user is scanning content they are going to be looking for certain information based on their need at the time. Seeing words in the content relevant to what they’re looking for will help confirm whether they have found what they are looking for, or if they need to look elsewhere. Previous versions of the Google Algorithms detected keywords in ways that led to a practice called keyword stuffing. In recent times, however, the Algorithm is much more complex. To try and target quality, useful content it uses a variety of strategies to evaluate the relevance of content to any given keyword, including building semantic meaning and looking at related keywords. While it is still important to include keywords in your content, it is only beneficial if it is done naturally. This should not be too difficult. The focus should be on writing good, original content, placing keywords in sentences only where they naturally fit. Variations will occur naturally in the flow of sentences. One of the most important things to consider when it comes to modern web content is solving the query, and convering the topic. This is going to mean using keyword variations and similar terms to the main term you’re targeting. Updates to the way Google crawls content, like Hummingbird and RankBrain, are all about the Google Algorithm trying to understand the semantic meaning behind the words on your page, not just matching the words on-page to words in search terms. To optimise for this you want to use as many keyword variations, synonyms and related terms as possible. But on top of that, you want to make sure every piece of content you put out there has a focussed objective and a clear target audience. When you research your audience you will not only be able to produce content that is written in “their language”, but everything you write will have a defined purpose for having been written in the first place. Content freshness can mean two things. How often you have completely new content on your website and how often you update existing content. When a user is looking for relevant content they don’t want to read an article that was relevant a year ago. They want something they can read in the context of the current day. Online content is different to every other type of content as the reader understands that it can be easily updated to reflect new events and changing trends. This means they will expect your online content to be up to date in a way they wouldn’t with content in print. Google has shown a recent propensity to favour new and updated content for relevant search queries that require freshness. The degree this will work in your case will depend on the search term but, in general, Google will always favour a website that keeps their pages/posts up to date. 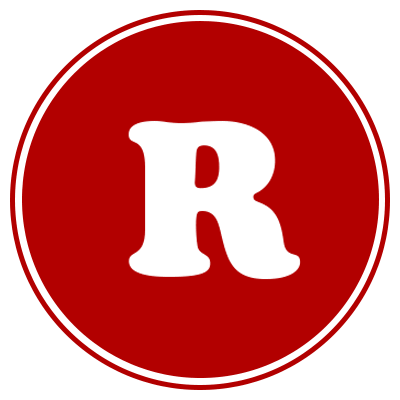 This is very different to the common thought that you need to add a new blog post to your site every week for the rest of your site to rank, we do not believe in this. Ensure you are revisiting your most important content on a regular basis and adjusting it so it stays completely current. Be particularly aware of this for queries that deserve freshness. Google is smart enough to realise this is not on purpose, and although we recommend fixing these technical issues to improve rankings they’re not going to get you penalised. Only when you’re using duplicate content to try and game the system are you at risk of being penalised. Content you’ve taken from somewhere else is not useful to the user. They can just go find it wherever you took it from if they want to. Saying something different is what they are going to value. Basically, if you are using content that you have taken from somewhere else, Google is not going to rank you for it. If you do it a lot Google is probably going to penalise you. Implement a technical check of your site to ensure your site is not accidentally producing duplicate content. Do not use duplicate content. Only publish content on your website that you have written exclusively for your website, or if you’re republishing content that first originated on another site then credit that site with a link. This ties together much of the above points and puts us in the direction that Google is continually working towards: giving the user the answers they want. If a user is typing a keyword into Google, it means they are looking for something. In some cases they will be searching for a specific website, others they will have a specific question and don’t really care where the answer comes from, in other cases still they will have nothing more than a vague concept that they want some information on. In all cases, however, they expect to be able to find what they are looking for. Probably the hardest to give a definitive answer. Closest would be a bit of all of the above, plus a bit of secret sauce stirred in. As mentioned already algorithm updates like Hummingbird and RankBrain are aimed at understanding the semantic meaning behind a user’s search term. This means Google is trying to interpret the keyword and the intention behind it and give a relevant answer based on that interpretation. Notice how the title tag of the 2 of the top 4 search result doesn’t contain ‘sushi’ at all? This isn’t because there aren’t other pages out there with ‘best’, ‘sushi’ and ‘melbourne’ in the title tag. It is because Google knows that sushi and Japanese are more or less comparable when it comes to the restaurant niche and have delivered these pages as they are from websites with a strong track record in the online culinary niche. The only thing you can do to target user intent is to serve user intentions. Whenever you create content for a website ask yourself: “What question is this content asking” and “what answers are they looking for?”. Whether it is a blog post on the “10 best meals to cook in a microwave” or a pricing page for your services, the information on any page should be answering a question that someone from your potential audience is asking. When you talk about links and SEO most people instinctively think of off-page optimisation but on-page links have a part to play in on-page SEO too. The top level menu is how the majority of users will navigate your website. They want it to be intuitive and representative of what you do. They also want to be able to find your most important pages with ease and probably won’t mind having to dig a little deeper for your more specialised content. Google will use your navigation menu as further context to classify your website. Not only will your main menu be a solid overview of the important content on your website it will also show Google what level a certain page sits at within the structure of your business. If a website has its “Wedding Photography” page as a third tier page, it may not consider it as relevant as a website that optimises its homepage for “Wedding Photography” as the main menu structure is telling Google the first website’s focus on wedding photography is a much smaller part of their overall structure. Decide your website structure based on a hierarchy that makes sense. By building a clear and easy to understand structure Google will be able to easily understand what your website is ‘about’ and rank you for relevant keywords. Don’t try to add too many pages to the top level of your website. Your main pages will not get as much value as if you link to every page on your site in your top tier. As a user browses online content they are used to encountering links within the content they are reading. Similar to footnotes in print content, these hyperlinks are understood to point to content that gives further contextual information on the words being used in the link. It is a user friendly feature of any online content as it allows the user to create their own journey throughout a website when it intuitively makes sense for them, rather than having to continually scroll back up to the static main menu and search through it for the page they need. Google uses internal linking to further define what each page on your website is specifically about. If you are writing a page of content about the benefit of red widgets maintenance and write the sentence “Blue widget maintenance requires a different method entirely” linking the phrase “blue widget maintenance” to your blue widget page, this is a signal to Google that the page you are linking to is the best bit of content on your website to rank for terms relating to “blue widget maintenance”. Link within your content whenever it makes sense to do so. If you are writing an article and part of it involves covering information you have already written about do not put effort into explaining it again. Give a short summary and then link out to the existing content. By doing this you reinforce the strength of the keyword on that page and you don’t confuse the search engine by putting similar content on two different pages. As with external links, vary your anchor text and avoid other tactics that look too spammy. Linking to a page multiple times on the one page is believed to have little if any effect, so the best rule is to stick to natural links. It is often stated that you shouldn’t link out to other websites, or when you do you should use a “nofollow” link. The theory is by linking to other websites you are passing on some of your authority or “using up your link juice”. The question to ask here is: “Why would Google want to discourage websites from linking to quality external sources”. Link out but save your links for quality, relevant sites. It will help give further context to Google about the niche you occupy and show you are an active and genuine member of an online network. A user wants their content quickly, browsing the web is a fluid process and having to wait for content to load is jarring. An often cited statistic from 2009 states nearly half of online users expect a website to load in 2 seconds or less and expectations haven’t gotten any more relaxed. This is becoming even more crucial with the rise of mobile traffic and users accessing websites on weak mobile network connections. A 2016 study showed that 53% of users abandoned websites when they took more than 3 seconds to load on their smartphone. Simply put, Google tracks how long it takes for your website to load and factors that into your ranking accordingly. An otherwise awesome site could be knocked down the rankings if it takes 10+ seconds to load. Site speed will also severely impact other engagement statistics which impact on rankings. Optimise your website to load fast! Google’s PageSpeed Insights should be your first stop. Use the suggestions you find here to work out how you can speed up your website. There can be plenty of reasons your website is running slow: bad hosting, bulky code, unnecessarily big images. If you are running WordPress, certain plugins or themes may be responsible. Or it could be something else entirely, to list all the potential site speed issues would be redundant – the most important thing to remember is if you’re website is getting a low Page Speed score, that is something you need to fix. W3 Total Cache: a WordPress Plugin that will help speed your site’s performance primarily through content caching and minification. Nearly 60% of searches are now from mobile devices which means 60% of the time users are online they are going to be dealing with your website on a mobile platform. This will vary for each website obviously, but mobile traffic is continually growing. When a website doesn’t have a mobile responsive design it hinders the usability of that site for the majority of traffic. Google officially flagged that mobile friendliness would be a ranking factor in 2015. It detects this through a website’s use of what is known as “Responsive Design”. Responsive web design is a way of making webpages so the elements within the page behave differently depending on the screen-size or screen type. Having a responsive site is the ideal situation, if you can’t have a responsive site then implementing a mobile site for mobile users is the next best thing. If you’re not clear on what mobile friendly is use Google’s Mobile-Friendly Test. This will give you an idea of where you stand. If the verdict is no good, you’ll need to make some changes. Your approach will depend on your situation. Most modern WordPress themes will be designed to be mobile friendly. If you have built your website yourself it could be worth giving yourself a crash course in mobile-responsive coding. If you are dealing with a different CMS system you would be best advised to look into the specifics. If you have a company that looks after your website management for you, get in touch with them and tell them you want to be responsive. Depending on the situation this may be a long and painful process but it is essential for your website to survive in the world of modern search. Google allows you to put certain tags on information on your website to tell Google exactly what that content means. This ensure Google is receiving information that could impact on your rankings. Using structured mark up to make your search result more attractive can also help improve click-through rates, which can, in turn, improve rankings. Mark up all of your basic information. Add schema to the html tags via microdata of the information that displays on your website. Usually this would be in the footer so it can display on every page. Add schema through a JSON script. This allows you to have schema on your site without it actually displaying on the front end. The robot.txt file is a file on your website that tells web crawlers, like the Googlebot, what they are allowed to crawl. You may need a robots.txt file for many reasons but it can also be implemented incorrectly, which will cause ranking problems. Not much if it is implemented without issues. But if there are problems with your robots.txt, the user wont find your site if Google doesn’t index it. If Google is blocked from crawling pages on your site because of the robots.txt file then they won’t show those pages in search results. You may need to block certain content on your website for any number of reasons, some of which are completely legitimate, but more often than not it’s best to just allow Google access to all content and resources on your site so they can crawl and index all elements of your pages. It is crucial to ensure there isn’t an issue with your robot.txt file that is blocking Google from crawling pages you want to get exposure. Canonical tags allow you to let Google know when you have moved content to a different page. This avoids duplicate content issues and tells Google which page you want ranked. Not much really, users will probably never know if you’re using canonical tags or not. Google simply transfers ranking factors to the version of content you nominate. Be vigilant with your canonical tag application. Slip up and you could lose all that hard earned authority you built up behind your awesome content. Shorter urls and urls with keywords in them have been shown to have an effect on ranking. 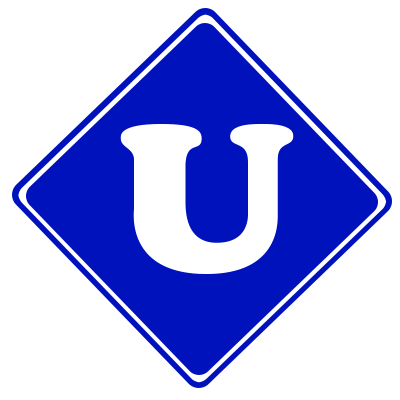 For a user a short url is easier to read and digest. A url with a bunch of numbers or unnecessary words doesn’t provide much contextual value. Same goes with keywords. If a user sees a url with the keyword they have just searched in the search results, they will have an idea they are on the right track. The direct effect keywords in a url have on a pages ranking factor is not clear. It has been a long time since Google cracked down on exact match domain keywords, but it is clear the presence of a keyword in a url still has some influence on rankings. Even if it did not its indirect influence, through enhanced click-through-rate would be more than enough to warrant attention. Pay as much attention to how you construct your urls as any of your meta tags. Most major CMSs will let you alter and customise your url. Nothing is more important than trust. Once you lose someone’s trust it isn’t easy to get it back. It is the same online. Users are wary of dodgy websites. They want to be able to look at a website and quickly tell if it is for real. They want to recognise the brand or, if they don’t, see some sort of indicator that the website they are on is a website for a legitimate business or person. Along with many of the above tactics Google will partially evaluate your level of trust through on-page factors such as prominently displayed contact information, whether your website is secure with SSL, terms and condition pages and other similar factors. The best way to think about this is: if it will help the user work out if you are legit, it is worth doing. If you have a strong website that doesn’t mean you can just tick off everything on this on-page checklist and expect to rank. It is important to be associated with whatever topic a keyword belongs to from a domain and brand basis. If the user is searching for information on a topic, they don’t just want a webpage on that subject from any website. They want a person or organisation that has a long history of being associated with that type of content. Content about copywriting that comes from Copyblogger is likely to be more in depth and higher quality than a copywriting article from Lifehacker because copywriting is all Copyblogger writes about. In this way topical authority delivers better and more relevant content to the user. This guide has talked at length about ways in which Google categorises your website. Topical authority is the highest level way in which it does that. A domain will be associated with various terms to varying degrees. When this is the case any given page’s ability to rank for a keyword may be enhanced if that keyword is also associated with one of the terms. The first element of topical authority links back to the very first part of this guide. When you develop your keyword strategy you want it to be regimented and focused. When the focus of what the type of keywords you are targeting is narrow but thorough you send a stronger message to Google in that particular niche than you would by diluting your influence over several fields. As you publish more content on this topic, link out to authority websites that deal with that topic (and hopefully get some links back), Google will slowly begin to associate you with that topic and rank you higher for the associated keywords. The same approach would apply if you are an already established website and want to expand into different areas. These metrics are about how the user behaves on your website, for users this means they are reading and engaging with a website that is doing a good job of answering what they came to find out. It is not confirmed as a ranking factor, however it makes sense that if Google’s end goal is to provide the user with content that solves their query, then they would use user actions to help decide whether content was worth ranking. By tracking users once they land on a site and whether they return to the search results or not, Google can estimate if the user found the result useful for their search term or not exactly what they were looking for and adjust accordingly. Pay attention to your analytics. Metrics like bounce-rates and time on site aren’t completely accurate, since a visitor could spend an hour reading your page, get all the info they need and then leave the site and technically that is a ‘bounce’ with 0 seconds time on site. So these metrics are not the be-all but are worth looking at and trying to improve. Think about the information users are coming for and do your best to satisfy those questions. Not only is it better for your conversion rates to have them on page longer and engaging with your site, it is better for your rankings too.